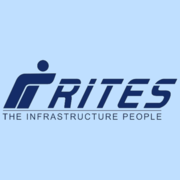 RITES Ltd Recruitment 2019 - Job notification for GM (Elect) Post in RITES Ltd, Gurgaon, Delhi on Deputation Basis. Applications are invited by RITES Limited on or before 24 Apr 2019 for 1 vacancy. i. The officer should be Group 'A' officer and have minimum 20 years Group 'A' service. ii. The officer should have experience in Indian Railways or any construction unit/ PSU of IR. iii. He should have mmimum 6 years of work experience m Railway electrification/ construction/ traction distribution ' work. Design experience will be preferred. On the basis of Previous Work Experiences and Domain Knowledge. Eligible candidates may send their application in prescribed format (attached below) to administrative officer (HQ/Board) on or before 24 Apr 2019, along with No Objection, Vigilance/ DAR clearance and ACRs for the past 07 years.